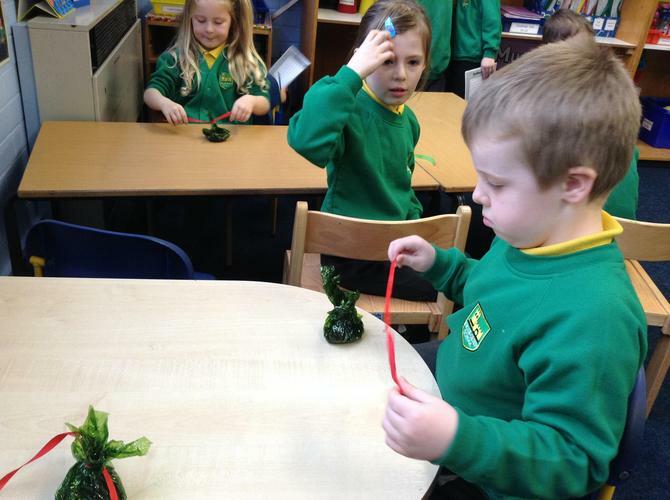 This week has been 'Entrepreneurial Week'in school. 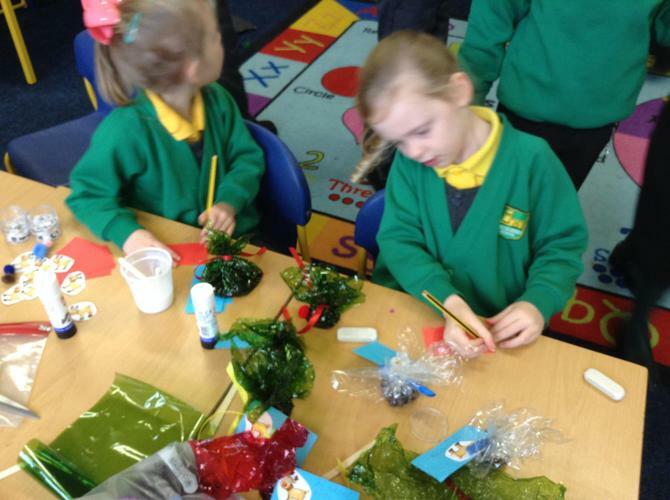 Our task was to design and create Christmas products to be sold to parents and carers on Thursday 7th December. 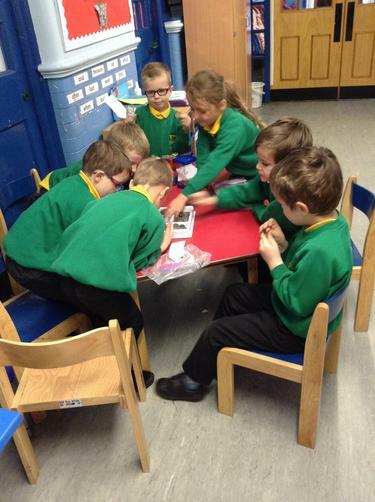 We spent Monday to Wednesday designing and making our products and adverts. 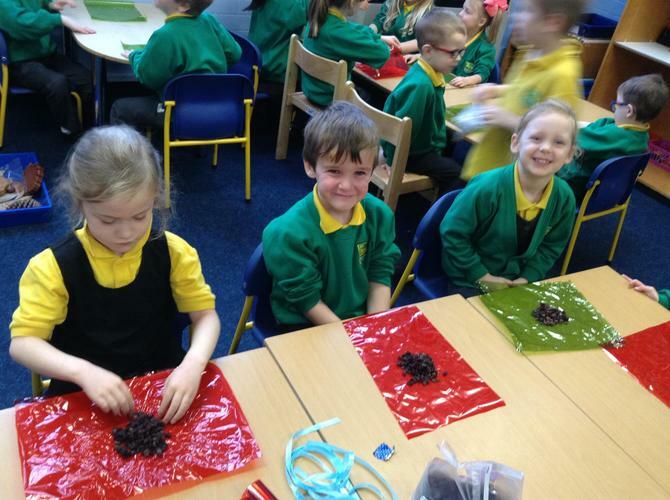 We made 'Reindeer poop', and 'Do you want to build a snowman?' bags. On Thursday morning we set up our stall. A huge thank you to everyone who came along to support us! 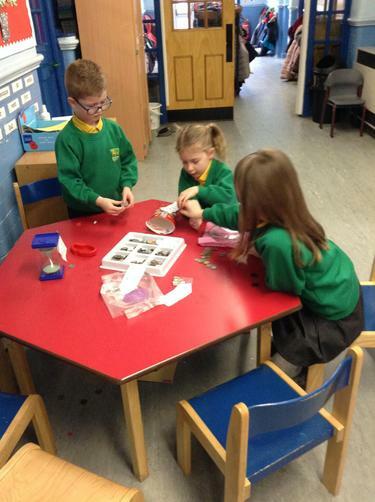 Our maths work was focussed on costings. 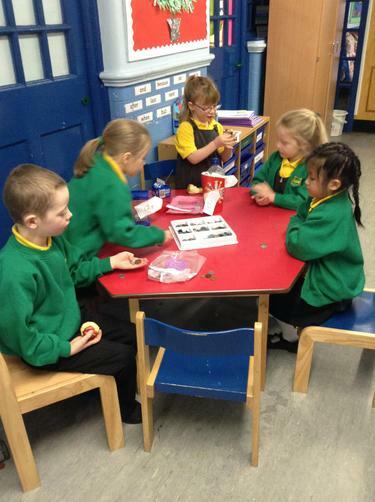 We learned to recognise coins (1p, 2p, 5p and 10p). 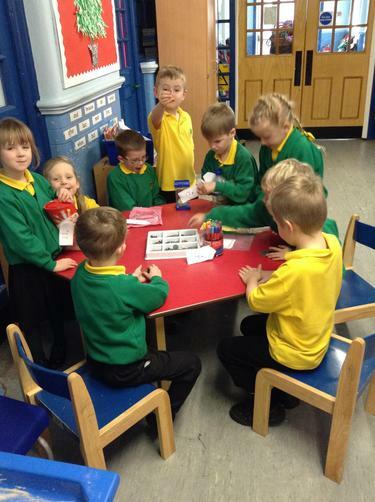 We found different ways to pay for items up to 10p using coins. What will we be doing over the next two weeks? Practising for the Christmas Play. Learning the Christmas Nativity Story. 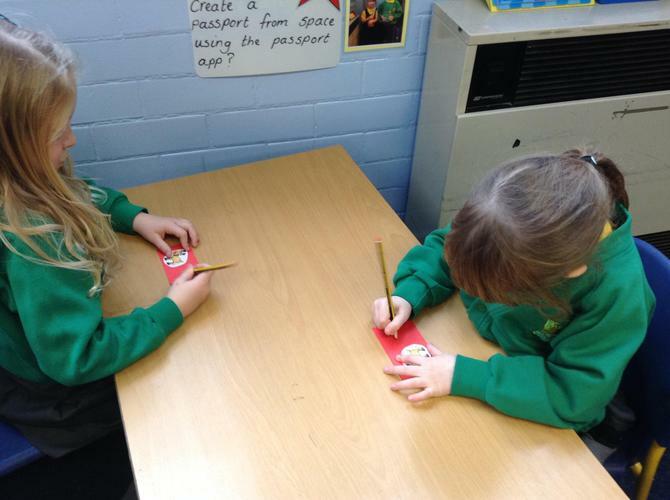 Writing a re-tell of the Christmas Nativity Story. 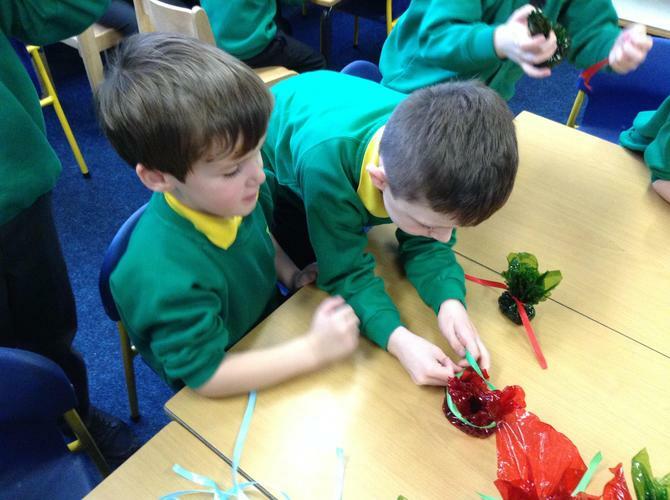 Listening to the story of 'Laura's Christmas Star' and discussing the importance of looking after our things. Learning to identify and create our own repeating patterns (patterns of 3 or more). 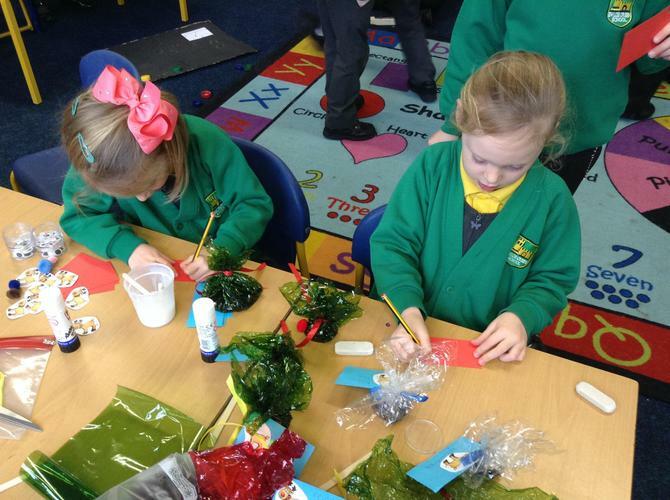 Making wrapping paper using repeating Christmas patterns. Learning to name 3D shapes and describe their properities. Making a new vehicle and evauluating it. 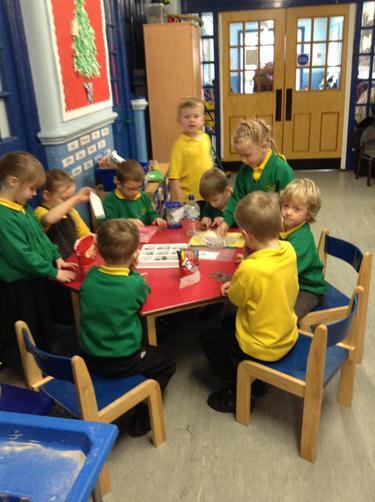 Tuesday 12th December - Year 1 and 2 Christmas Party in the afternoon. Please come to school dressed in party clothes. Thursday 14th December - Year 1 and 2 Christmas play rehearsal at the Church of the Holy Spirit. 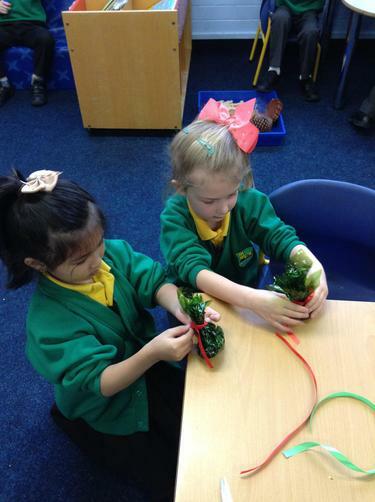 Friday 15th December - Year 1 and 2 Christmas play performance at the Church of the Holy Spirit.